New Zealand Education Blogs List. The Best New Zealand Education Blogs from thousands of New Zealand Education sites on the web using search and social metrics. Subscribe to these websites because they are actively working to educate, inspire, and empower their readers with frequent updates and high-quality information. New Zealand Education newsletter is a comprehensive summary of the day's most important blog posts and news articles from the best New Zealand Education websites on the web, and delivered to your email inbox each morning. To subscribe, simply provide us with your email address. Wellington, New Zealand About Blog Helping you find what you need to know about education in New Zealand. An education web portal provided by the New Zealand Ministry of Education. Facebook fans 15,607. Twitter followers 10,316. New Zealand About Blog Education Central is the independent and impartial go-to news source for all NZ Educators, politicians, policy makers and parents. Your own one-stop educational super site. Don’t miss out on the latest sector news, information, opinion and discussion! Facebook fans 4,643. Twitter followers 874. New Zealand About Blog Breaking news and videos of today's latest news stories from around New Zealand on Education related topics. Facebook fans 736,203. Twitter followers 169,475. New Zealand About Blog CORE Education is a not-for-profit educational research and development based organisation with an international reputation for support and promotion of the use of new technologies for learning across all education and training sectors. Facebook fans 4,278. Twitter followers 11,878. New Zealand About Blog Education Review is the leading reputable and independent publication for New Zealand educators. Facebook fans 4,643. Twitter followers 3,286. New Zealand About Blog The New Zealand Association for Research in Education aims to foster excellence in educational research in Aotearoa-New Zealand. NZARE organises annual conferences and seminars where participants drawn from New Zealand and overseas share new research and engage in academic and professional debate. Auckland, New Zealand About Blog I provide professional development in both pedagogy and technology and speak on matters of future focused education. I specialise in student-centred learning, educational use of social media, augmented reality, Design Thinking and providing effective professional development that is centred on the individual teacher’s requirements and current skill-set. Facebook fans n/a. Twitter followers 16,917. New Zealand About Blog Danielle Myburgh's learning journey in education and teaching: all things e-learning,mathematics, science, pedagogy and the adventures in my new school. Facebook fans 110. Twitter followers 5,368. New Zealand About Blog SOSNZ acknowledges that our public school system is a good one that is generally well-regarded. SOSNZ also acknowledges that the system is not perfect, and we support discussion and analysis of issues and the implementation of sound policies and programmes to foster improvements. SOSNZ believes that no education policy must ever be taken on board without high quality supporting evidence for the proposed change. Facebook fans 6,143. Twitter followers 2,975. New Zealand About Blog A site to explore ideas about education. This blog is a great opportunity to share ideas about ways to transform schooling as we know it, to help all students realise their talents, passions and dreams. Be great to hear from anyone out there! About Blog New Zealand is one of the world’s best places to live and study. Discover more about studying in New Zealand & incredible lifestyle. The Study in New Zealand Youtube channel is the official Government site for advice on studying abroad in New Zealand. Search courses, universities, institutes, schools, student stories and living costs. Facebook fans 913,287. Twitter followers 36. New Zealand About Blog Education News Headlines and Issues from Scoop New Zealand. Facebook fans 6,171. Twitter followers 14,468. About Blog Our team places teachers in permanent and long term positions around the globe. To provide a free service to Teachers that is easy, straight to the point and where integrity and honesty are always demonstrated. To work quickly and effectively being accountable to our clients. Facebook fans 3,772. Twitter followers 284. New Zealand About Blog This blog is New Zealand Council for Educational Research's media monitoring site. The purpose of this blog is to provide readers with a daily listing of all education related stories that appear in New Zealand’s media space. 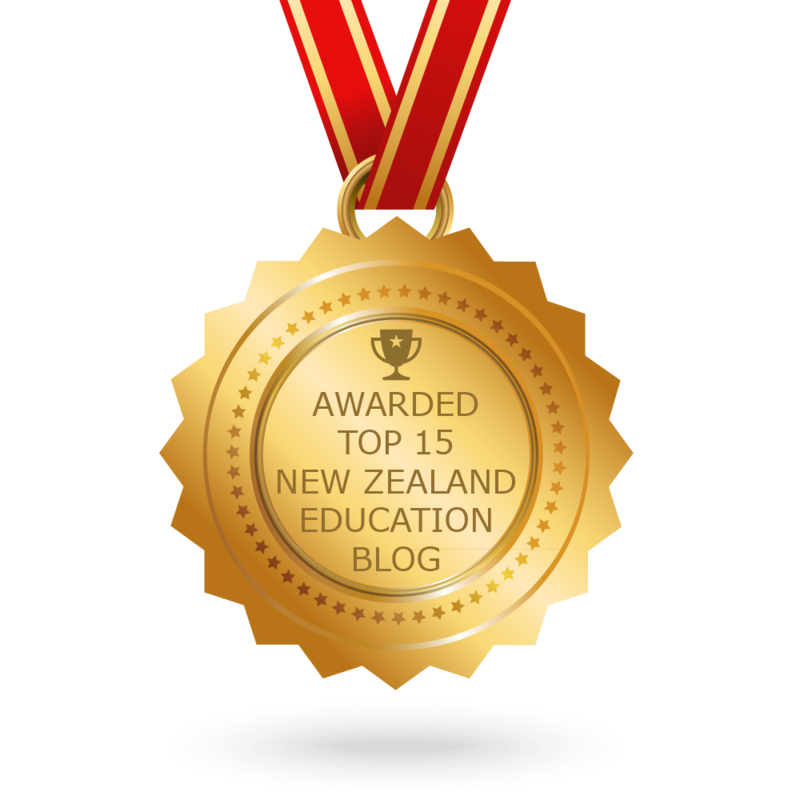 CONGRATULATIONS to every blogger that has made this Top New Zealand Education Blogs list! This is the most comprehensive list of best New Zealand Education blogs on the internet and I’m honoured to have you as part of this! I personally give you a high-five and want to thank you for your contribution to this world.